Cocoa: a sweet treat for the brain? There are many reasons why you might want to give someone chocolate on Valentine’s Day. There’s the tradition of it, and the idea of sweets for your sweetheart. Here’s another tempting reason: certain compounds in chocolate, called cocoa flavanols, have recently been linked with improved thinking skills. But will a gift of chocolate boost your valentine’s brain power? Italian researchers tested the effects of cocoa flavanols in 90 healthy 61- to 85-year-olds whose memories and thinking skills were in good shape for their ages. Participants drank a special brew of cocoa flavanols each day. One group’s brew contained a low amount of cocoa flavanols (48 milligrams [mg] a day), another’s contained a medium amount (520 mg), and the third’s contained a high amount (993 mg). After eight weeks, people who consumed medium and high amounts of cocoa flavanols every day made significant improvements on tests that measured attention, executive function, and memory. The findings were published online in the American Journal of Clinical Nutrition. A similar study by these researchers published in 2012 showed that daily consumption of cocoa flavanols was associated with improved thinking skills in older adults who did have thinking problems, a condition called mild cognitive impairment. And both studies found that cocoa flavanols were associated with reduced blood pressure and improved insulin resistance. Flavanols are a type of plant nutrient found in many foods and drinks, such as tea, red wine, blueberries, apples, pears, cherries, and peanuts. They are particularly abundant in the seeds of the cacao tree—cacao beans. Fermenting, drying, and roasting cacao beans yields cocoa powder, which is used to make chocolate. Flavanols in cocoa have been studied for many years. They have been shown to help lower blood pressure, improve blood flow to the brain and heart, prevent blood clots, and fight cell damage. How might cocoa flavanols boost thinking skills? This hasn’t been directly studied in humans. “From laboratory and animal studies, we know that flavanols facilitate brain cell connections and survival, and protect brain cells from toxins or the negative effects of inflammation,” says Dr. Miguel Alonso-Alonso, a neuroscientist with a strong interest in nutrition at Harvard-affiliated Beth Israel Deaconess Medical Center. He wrote an editorial supporting the findings of the Italian study. If you give someone chocolate this Valentine’s Day, are you giving that person cocoa flavanols? Yes, but not nearly as much as the volunteers consumed in the Italian study. The amount of cocoa used in chocolate varies by manufacturer. And flavanols are often destroyed in the production of chocolate. Dark chocolate has more cocoa and more flavanols than milk chocolate. The amount in dark chocolate can range from 100 mg in 100 grams of chocolate (about 3 ounces) to 2,000 mg.
It’s possible to get a megadose of cocoa flavanols from supplements and fortified powders that promise high doses. But consumer groups studying the amounts of cocoa flavanols in products have found that the actual amount in supplements and cocoa powders varies widely. The best way of getting cocoa flavanols is through cocoa powder that is as natural as possible and has not been processed through the Dutch method, which reduces the content of flavanols. Such cocoa powder will be bitter, though. You may not need a megadose. “The benefits of cocoa flavanols on cardiovascular health are well established, and for the general population a daily intake of 200 mg of cocoa flavanols is starting to emerge as a potential target within the context of a balanced diet,” says Dr. Alonso-Alonso. Be careful, though. Chocolate is high in calories. Adding it to your diet without taking out other foods can lead to weight gain, which may wipe out any health gain. 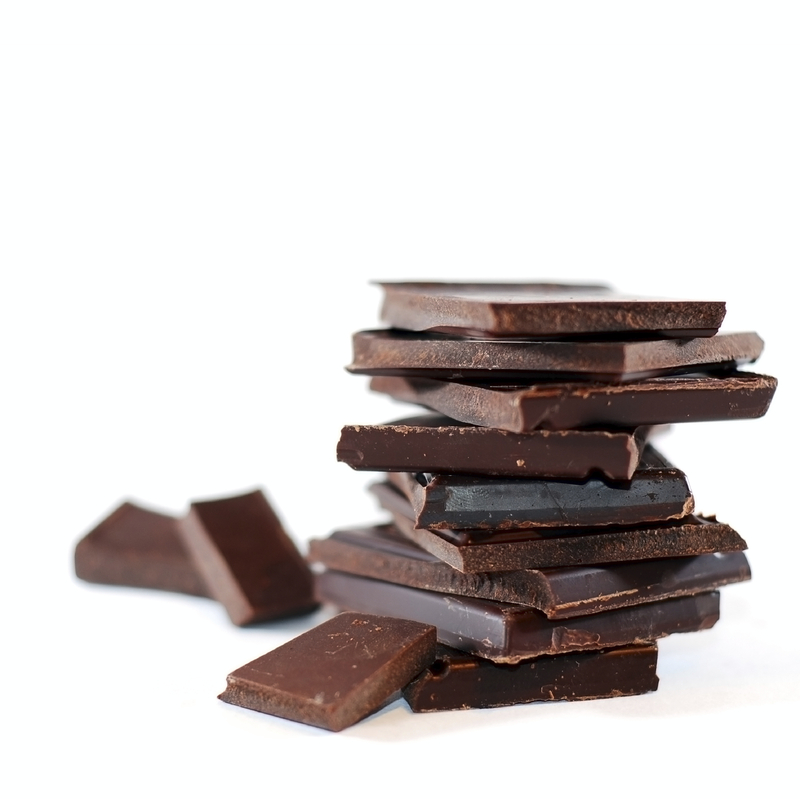 Try to find dark chocolate that has the highest concentration of flavonols per ounce. So give the gift of chocolate this Valentine’s Day, but throw in some other sources of flavanols—blueberries, cherries, and red wine—then dazzle your sweetheart with your knowledge of good health. Extremely Informative and Well Written . Thanks for Sharing. I precisely desired to thank you very much again. I’m not certain the things that I might have undertaken without the entire strategies contributed by you relating to such concern. Certainly was a depressing concern for me, however , understanding this skilled fashion you processed it took me to jump for contentment. I will be thankful for the advice and thus expect you recognize what a great job that you’re accomplishing training many people through your site. Most probably you haven’t met all of us. This is an area which really interests me, I’m always looking for more natural ways to boost memory and focus. The benefits of flavanols has also been linked to better circulation and blood flow. Amazon sell a cocoa powder that can be added to coffee etc. called CocoaVia. Think I’ll look into this more to add to my brain supplements article. Any excuse to add more chocolate taste to my diet! nearly all chocolate bars has soy which is bad for a person soy is really a spend solution from soybeans soy is everwhere it must be restricted in addition to trans fat and also higher frutose ingrown toenail surpe north america provides the worse foods in the world. I love chocolate. And I love the fact that it can be a treat with health benefits! Ya right! That tastes wonderful. BTW Happy Valentines Day! Beautiful article with site. Thanks for share it with us. i like this type site and this site. i know another site like this site. there you can find and get excursive service. it is Perfect Health Consulting Services provides Hair Mineral Analysis and Nutritional Balancing Programs to clients worldwide to heal the body naturally without the use of medications.. You can see it. visit this site and get all of those. I would love to add a little cocoa to my morning coffee! However, I understand there is no ethical source of chocolate or cocoa. What chocolate or cocoa product pays fair wages to the workers in the plantation? I take a chocolate bar 70-72% dark, smash it into small pieces, put them in a plastic bag, put the bag in the refrigerator and drop one or two baby chunks in the cup. I’m just not ethical when it comes to chocolate/cocoa, but I am sure you can find a fair-pay chocolate bar. I enjoyed the article. You give the amount of cocoa flavanols in chocolate, but not in cocoa powder. It is not difficult to find cocoa powder that has not been through the dutch processing, and I am wondering if that is the best source of flavanols. I am wondering what might be a reasonable dose. According to CONSUMERLAB.COM most powder are contaminated with cadmium, a toxic heavy metal. Nibs from one company- forget it’s name – are much better in this regard. I’ve enjoyed adding a small amount of Hersey’s Cocoa (natural unsweetened) to a cup of coffee. Is this a good idea or should cocoa be cooked? If it is a good idea, how much should be added to a cup of coffee? we would burn out much faster, and would not really be able to give our best. I am impressed by the amount of reflection you do! If only every medical student would do this, they would all grow so much more as people!